The importance of air duct cleaning in maintaining their home’s heating and air conditioning (HVAC) systems. However many people do not realize. Clean air ducts will increase the longevity of an HVAC, and reduce energy costs. It also means there will be less need for dusting and other home cleaning chores. Having an HVAC that is free of dust, equals a cleaner home environment for you and your family. The build-up of dirt on coils causes lower efficiency. That’s why the system has to work harder to cool or heat your home. Dirt that circulates through your HVAC reduces the efficiency of the system. Removal of dirt and debris will increase your system’s efficiency by up to 40% and that adds up to significantly reduced energy costs. Air is completely recycled through a dwelling about 5 to 7 times a day. It also means that your system will last longer since it won’t have to work as hard to circulate air through your home. In maintaining a home’s good air quality air duct cleaning can be helpful. Dust circulates with cooled or heated air. Other particulates such as insect debris, pet dander, and mold may become airborne and move through your home with the dust. Such particulates in the air can cause allergy and asthma attacks, especially in people who are particularly sensitive to such substances. Having your air ducts inspected after the completion of remodeling or any kind of construction in the home is especially important. Dust caused by construction work may settle in your ducts. This dust can also reduce your system’s efficiency and impact your home’s air quality. We are available year round for any kind of HVAC Repair and HVAC Maintenance. We also install new systems and can help you select the right HVAC for your needs. 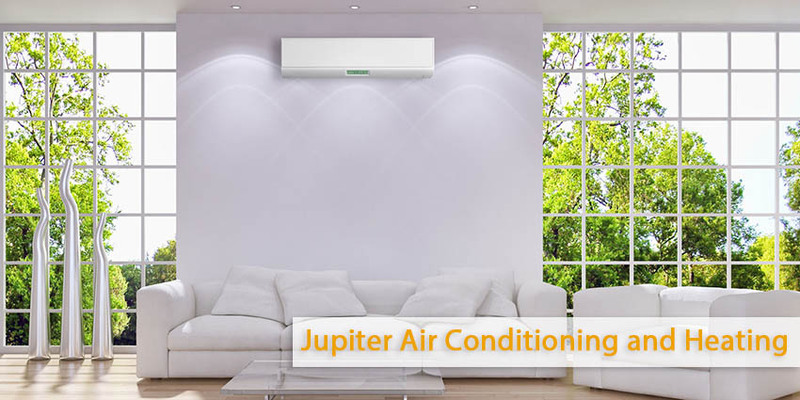 Call our Jupiter HVAC Repair and HVAC Maintenance service personnel to make an appointment or for additional information.